When vocal cords are swollen with active infection. During the condition commonly known as laryngitis, it is not at all helpful to even warm up. But note that after the infection has subsided, sometimes vocal cords are still puffy. Careful and gradual warming up is called for in this case. But not when the cords are still sick. How do you know? If careful warming up for say 5 or 10 minutes does not make your voice feel better, stop. 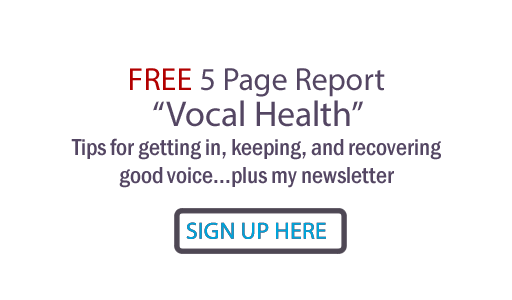 You are either doing your vocalises wrong or your cords are still infected. Silence is golden... and that includes your speaking voice. By all means don't whisper... that is worse than talking clearly. Bottom line... Don't add insult to injury. After laryngitis, go on voice rest until your cords are ready! When the body is too tired to support and control the breath. It takes a lot of core energy to support our voices properly. 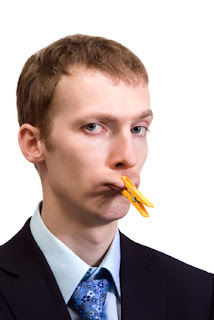 When we can't (or don't) apply balanced breath support and control, the vocal cords and nearby musculature in throat, neck and shoulders have to try and take on the task... which causes fatigue, limitation and lack of control in all areas. It can also cause a degree of vocal strain that you continue to feel next day. If you're applying breath properly, the next day of singing should actually be easier! I was practicing some songs with my husband for our band 6Play and I found this out freshly. About half way into the songlist we usually go through, I noticed that the juice fast I was on for the day left me with an energy lag (duh!). Though I certainly know how, I could not for the life of me support my voice properly. I stopped when I noticed my voice was not liking the feeling of singing.... well before any vocal strain could set my vocal stamina back. Bottom line... If you are physically tired, drained or even overly hungry or tight, don't sing- at least not for long! - and again, limit talking. Get some rest, food, water and recovery time before using your voice. Your vocal cords will thank you, I promise. Excellent advice. There is no reason to force your vocal cords when sick.